Sandra Anne Taylor is the New York Times best-selling author of Quantum Success, Truth, Triumph and Transformation, and Secrets of Attraction. Sandra is known for her inspiring processes and life changing techniques incorporating consciousness, karma, and energy in personal transformation. The Hidden Power of Your Past Lives is her most recent of six titles available in 26 languages across the globe. 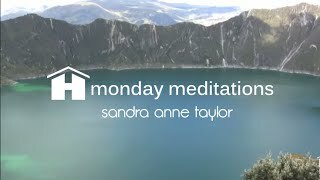 Sandra can be heard on Mondays on Hay House Radio.